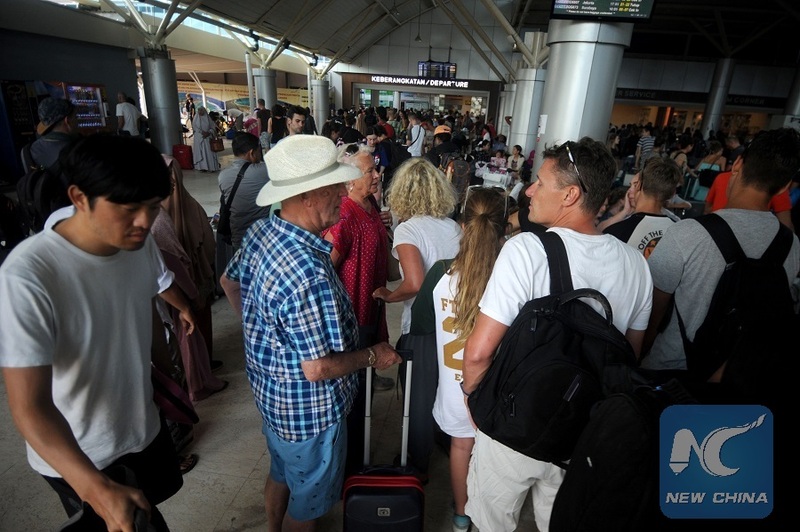 JAKARTA, Aug. 6 (Xinhua) -- The international airport in Lombok island of Indonesia has increased flight schedules and extended operation to accommodate foreign holiday makers seeking to leave after Sunday's quake, officials said here on Monday. The flight schedule was added by 18 times and the airport operation period is prolonged to 24 hours, said Sutopo Purwo Nugroho, spokesman of the national disaster management agency. 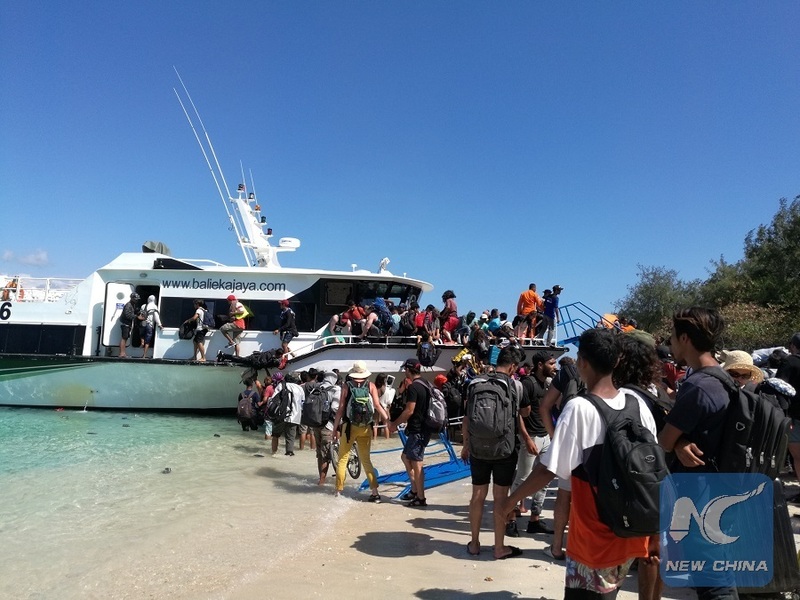 The spokesman said 2,000 to 2,700 foreign and domestic tourists from three islands, locally known as Gili Trawangan, Gili Air and Gili Meno, have been already evacuated with nine boats and rescuers are scrambling to evacuate thousands of others from the islands. "A series of continuing aftershocks along with rumors that they may spark another tsunami have triggered unease and fears among the visitors leading them to leave the islands," he told a press conference. Separately, Indonesian Chief Security Minister Wiranto said six tourists were killed in Gili Trawangan island after the quake, raising the total number of casualty to 97. "In Gili Trawangan, there are six people dead, but they are not foreign tourists," he noted. The 7.0-magnitude quake struck on Sunday with the epicenter 18 km northwest Lombok Timur district and 15 km under-earth, the temblor was also felt strongly in nearby Bali Island and East Java province, according to the meteorology and geophysics agency. 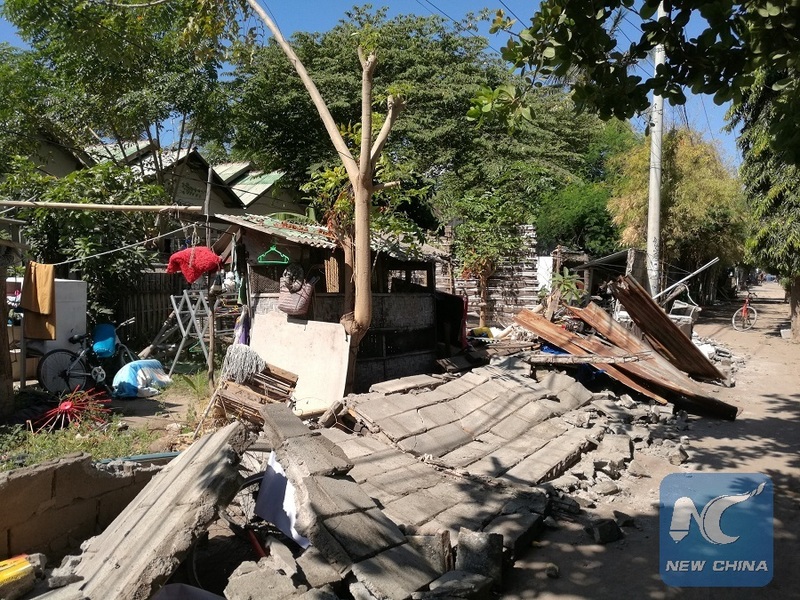 The Sunday's quake worsened the downside risks of another strong quake of 6.4-magnitude striking Lombok Island on July 29, that left 17 people dead, 365 others injured, 8,871 people displaced and 14,940 houses and building damaged, according to the disaster agency. Indonesia is prone to quake as it lies on a vulnerable quake-hit zone so called the Pacific Ring of Fire.